Pressure cook the Nilakadalai with salt and enough water. Remove the water. Heat a pan with oil add mustard seeds and broken chili. 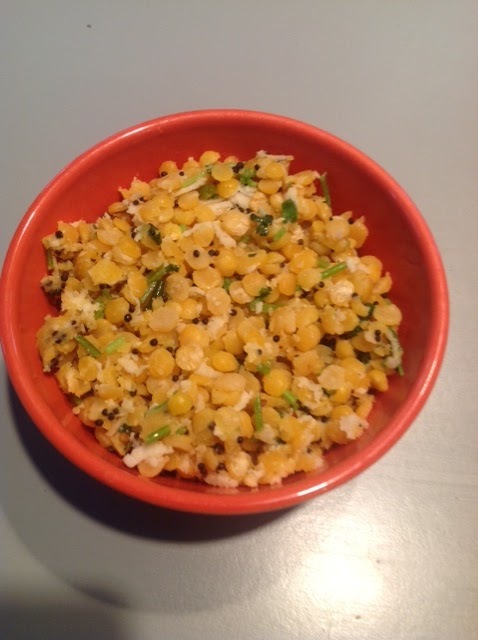 When the mustard crackles, add nilakadalai, coconut and green chili. Boil two cups of water and add salt and 1 tsp oil. Remove from the gas and cover it for five minutes. Heat a pan with oil add mustard seeds, red chili, and curry leaves. Add to the dough with coconut flakes. Make small kozhakattais and steam them. Soak the rice for two hours and grind to the consistency of dosa batter. Add the jaggery, coconut, plantain, cardamom and a pinch of salt and grind. Heat the appa kaarai with oil/ghee. Pour the batter in each kuzhi (till half). Turn the appams after some time and fry the other side of the appams ,till they become golden brown on all sides. Soak the kondakadalai/chick peas the previous day. Cook it in pressure cooker with salt.remove the water. Heat a pan with oil add mustard seeds, chili and curry leaves. 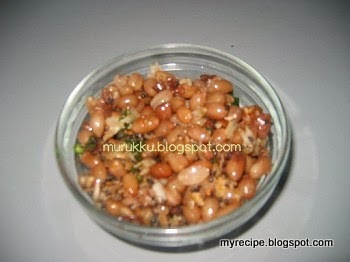 When the mustard seeds crackle add the kadalai,hing and coconut. and stir it. If you want spicy add chilli powder or chopped green chilies. Wash and Cook the chana dhal with turmeric and salt. Heat a pan with oil add mustard seeds. red broken chili and curry leaves. When it splutters add the cooked dhal and saute it. 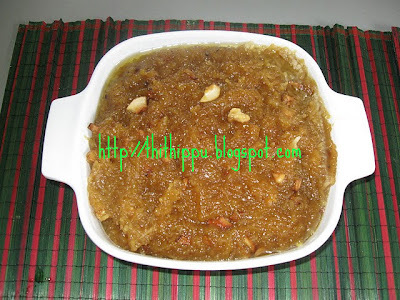 I made this sweet recipe for Gokulashtami and Navaratri . It is very easy to prepare. Roast the aval for 5minute and powder it. Mix coconut and little warm water with the powdered aval till it becomes moist and soft. Heat pan with little water and jaggery. Put off the flame and add the aval. Fry the coconut and cashew nuts in ghee and add to the aval. Sprinkle the cardamom powder. You can keep this dish for a week. Same way you can prepare arisi puttu. Use wet rice powder instead of aval. Soak the dhal and rice for 2 hours. Drain them and grind coarsely in food processor with chilli salt and asafoetida. Mix well. for making vada use paper towel/ plastic sheet or with palm. of your hand. Heat a pan with oil. When the oil is hot slip the vadas.and deep fry them. When it is golden brown remove them. Roast the gram till it becomes brown without oil. Heat a pan with 1/2 cup of water till it becomes thick(like syrup). Add the cooked rice and dhal.Mix it well. in a medium heat for few more minutes. Fry the coconut flakes and the cashew nuts with ghee add to the Pongal. This recipe is not deep frying. Just like dosa making ,pour oil on the sides. Make this appam in non stick appakarai. Soak the rice and urad dhal together for 3 hours and grind , add salt and keep for overnight. Next day add green chilli, ginger, asafoetida and curry leaves and coconut pieces. Heat oil in appakarai ( appam vessel) and pour the batter in each pit( kuzhi). When it becomes red turn the other side. Remove when they are fully fried. Eat hot and drink hot tea or coffee. You can make these appams in non stick vessel and with left over idly/dosa batter. Add water with the grated coconut and extract first and second milk. Roast the chana dhal and cook in pressure cooker. Mash the cooked chana dhal and add jaggery. When all mixed well add the second coconut milk. Then add the first milk and do not boil.